The March2019 Flyer of Specials is Here! 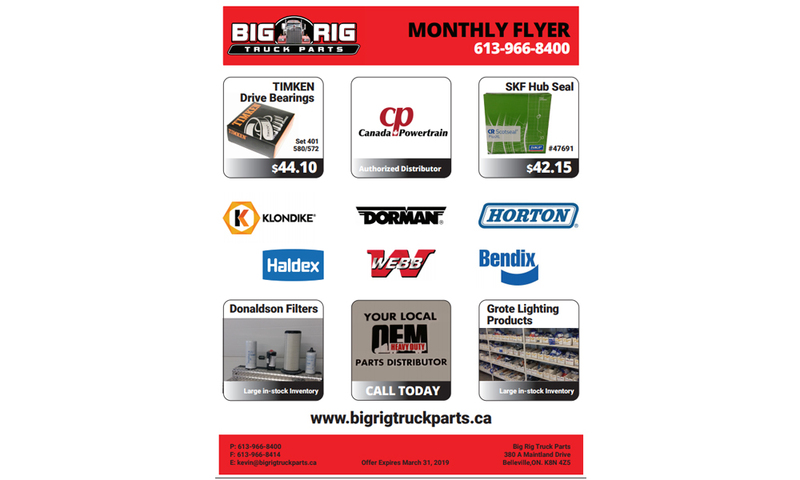 The Monthly Flyer features Timken Bearings and Grote Lighting products. We also carry all Klondike engine oil and lubricants. We are dedicated to quality and customer service and with thousands of parts in stock from mirrors to turbochargers it is our goal to provide you discount parts and accessories fast. No matter what parts you are looking for give us a call at 613-966-8400 and we look forward to assisting you. February 2019 Specials are here! New Year – new 2019 flyer! December Flyer is Here -2018!